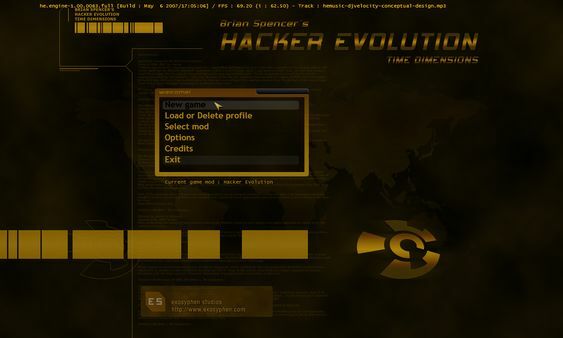 Hacker Evolution is a hacking simulation game, featuring unparalleled graphics and features. 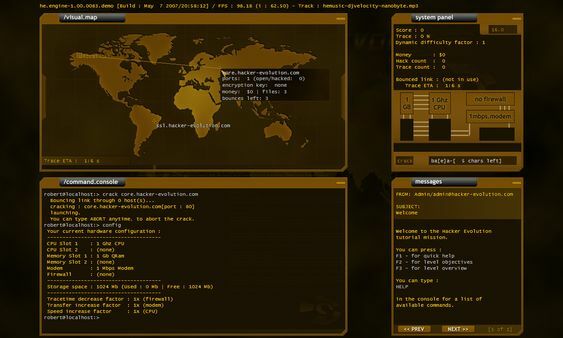 You play the role of a former intelligence agent, specializing in computer security. When a chain of events sets off worldwide, leaving critical service disabled, you assume the role of a computer hacker to find out what happened and attempt to stop it. When a stock market, a central bank, satellite uplink and transoceanic fiber optics links crash, you know this is more then a simple event. Something big is behind all this, and you have to figure out what it is. You hack into computers, look for exploits and information, steal money to buy hardware upgrades in an attempt to put all the pieces of a big puzzle together. 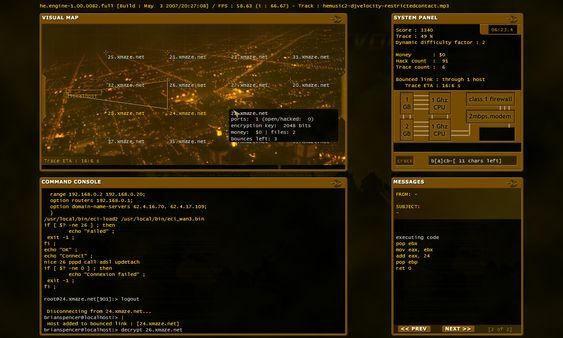 Set in a virtual operating system environment, the game is packed with all the features required to bring the hacker feeling and experience to every gamer. The concept behind Hacker Evolution is to create a game that challenges the gamer’s intelligence, attention and focus, creating a captivating mind game. Solve puzzles, examine code and bits of information, to help you achieve your objectives.